Amazon has emailed all its Kindle publishers and set up a website in the midst of its dispute with the American publishing company Hachette. The publishers do not wish to lower the prices of ebooks, but Amazon wants them to. Meanwhile 900 leading authors have set up a website appealing for the dispute to end, criticising Amazon. At the heart of the dispute is the pricing of ebooks. Amazon wants to lower prices, arguing that this leads to more purchases, increased profits and better royalties for authors. Leaving aside the fact that the company has used emotional tactics, linking their latest round of the dispute to the First World War, Amazon does have some impressive statistics available. 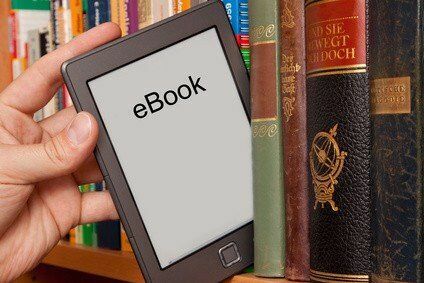 According to Amazon, if you decrease the price of an ebook by a third, you can increase the sales by almost 75%. Amazon uses this data to say that lowering prices will make more people read more books. They suggest that, in the world of multiple media, books have to compete effectively and that price is crucial. Amazon, however, is making the basic mistake made by schoolchildren when they first start studying statistics. They are linking two sets of data and assuming there is a connection. The fact that more books are sold does not mean that more books are read. Indeed, there is plenty of research that even books which are valued by people get low readership. Many business books, for instance, are not read after purchase and if they are, usually it is only the first chapter, with readers dipping in and out occasionally. An interesting fun study, known as the Hawking Index, suggests that a wide variety of books get very low readership. Amazon has made the basic mistake of assuming that the purchase of something means greater use of those items. The evidence actually points the other way. The next problem with Amazon’s argument about the need to lower prices is that it assumes that people are driven by price. Decades of consumer research shows that this is emphatically not the case. Only when the seller starts to focus the mind of the buyer on price does the amount of money become the issue. This is about psychological “framing”. The design of the Amazon website, for instance, frames the mind of the visitor into “cheap”. Therefore they expect lower prices. Once you have made them expect lower prices you have to start delivering. This is a downward slope, the ultimate direction of which is in ever lower prices, driving the need to sell more and more in order to stand still in terms of profit. Once you start lowering prices your customers start to devalue what you sell. If you price something highly, people value it much more greatly and with higher value you generally get greater usage. If Amazon is really as keen on getting more people to read, as its emotionally-charged letter suggests, then they need to RAISE prices to increase engagement. Lowering prices reduces the perception of the value of the book and with that goes lower usage, reducing readership. Whilst it is admirable that Amazon wants to increase the number of books read, they have gone about this in completely the wrong way, revealing they misunderstand the psychology of price. If your business wants greater usage of what it sells, lowering prices is precisely what not to do. A good point of view but according to my experience I’m little bit disagree with it.